Javier Morales has been one of the best players of the 2015 MLS season so far. He continued his impressive run by managing a goal against San Jose Earthquakes last weekend. This helped the club’s second consecutive league victory and this has moved the club to third place in the table after four matches. Despite being 35 years of age, the midfielder has been showing his pure quality in the recent matches. His long-range effort against San Jose helped differentiate both teams and Dominic Kinnear admitted after the match that his team could do nothing about the effort fromMorales. The Argentine has created two goals and set up another two in his first four matches this campaign.Morales is someone who is used to scoring goals but not at the rate he is doing currently. 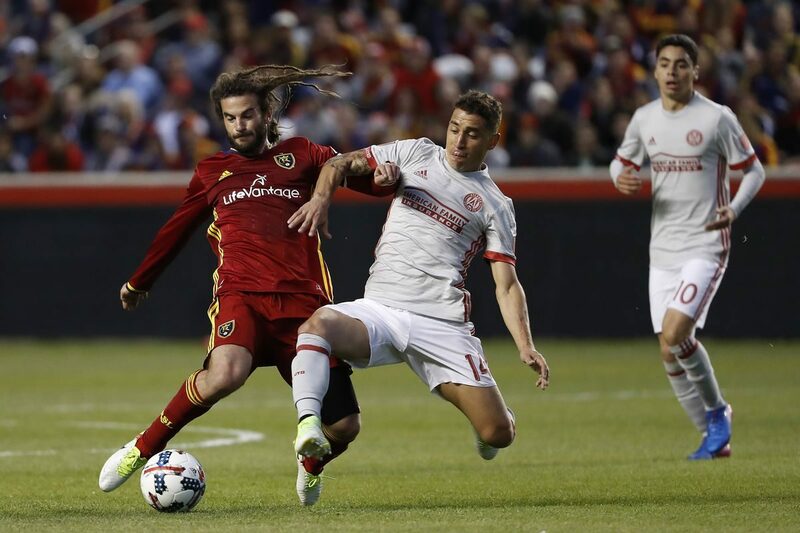 Last season, he managed to 9 goals throughout the whole campaign and it was just one short of what he had achieved in the 2013 season with Real Salt Lake. His amazing start to this campaign – in terms of scoring goals – is set to see him break the records of the last two seasons. It is an amazing advantage for Real Salt Lake to have a midfielder contributing such a large number of goals. “The ball was coming to me and it was coming to me in the perfect way to hit it like I did.My first thought was, Penalty!and then, No, let me take it! No, I’m happy to play against them. I don’t know. It sometimes happens. I can score a lot of goals against [San Jose], but I didn’t score against other teams. It’s just statistics. I didn’t know what happened. Just everyone get back and come at the ball. I tried to make a tackle and then I made a tackle. I don’t really think much about it,” saidMorales.